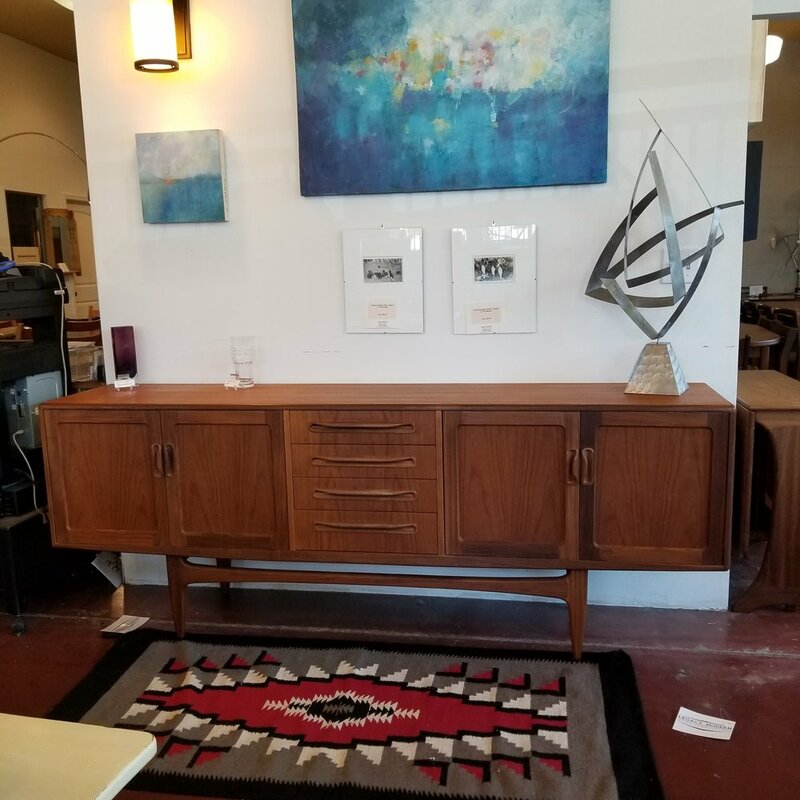 We have the perfect credenza for you! "Jentique is a brand of furniture made by Jentique Furniture Ltd. Started in the 1930s by the well-known toymaker Geoffrey Bowman Jenkins and his wife Edith, the company was based in Dereham, Norfolk." "Along with similar cabinetmakers (e.g. 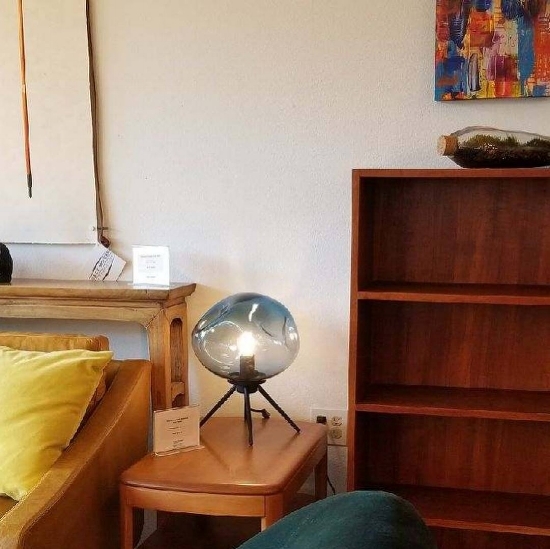 Meredew), the design of Jentique furniture followed the tastes of the times and the company did particularly well during the 1950s and 1960s, tapping into the hugely popular mid-century modern style inspired by Danish design." "Jentique Furniture has been noted for many years for its sound construction and excellent design." Right now in the store we have a gorgeous, teak Jentique credenza. It's sliding doors provide an effortless ease as they glide back and forth. The three drawers down the center offer extra space to organize all things you want quick access to, but nicely put away. Lastly, It's a great size measuring at 50" x 17.5" x 29". It's not too big, and not too small. She's in excellent condition and ready to go home with you! If you're out and about this weekend, make sure to pop by the store at SE 7th and Clay. We have so much new inventory that we'd love to show you! We have a fantastic collection of new dining tables, sofas, chairs, art, and more! 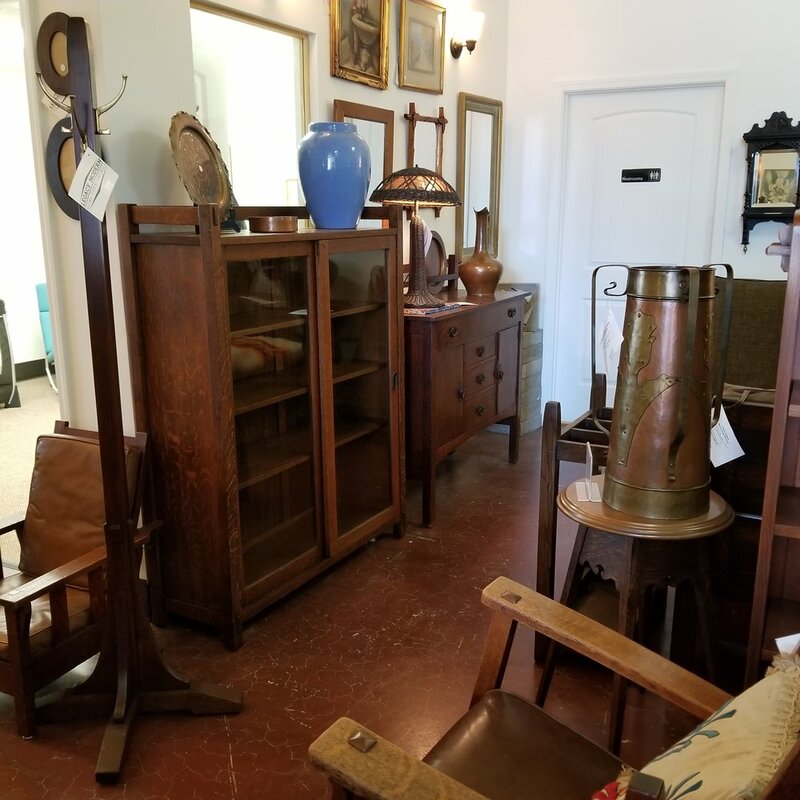 Come by and see what we have for you! On our last trip to Europe, we found some amazing G Plan pieces that we had to bring back. 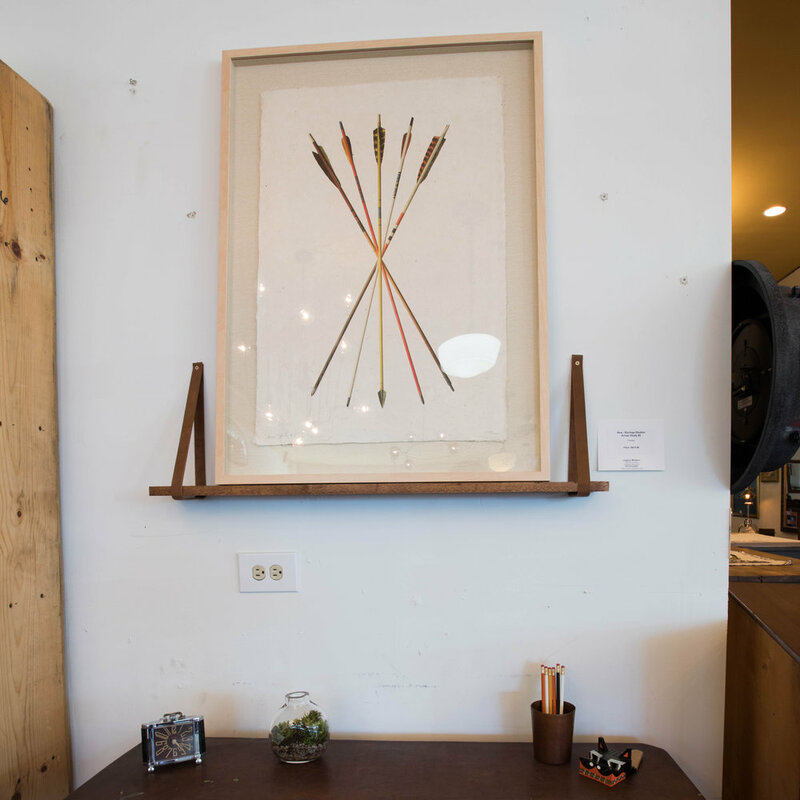 Get a closer look at his iconic, mid century furniture brand below. First, we want to show you this beautiful, teak G Plan dresser. It is a multi-purpose item that could be used an entertainment center, buffet, as well as a dresser. If you're wanting a cohesive look in the bedroom or living room, this one of kind G Plan floating top desk/vanity will do the trick. 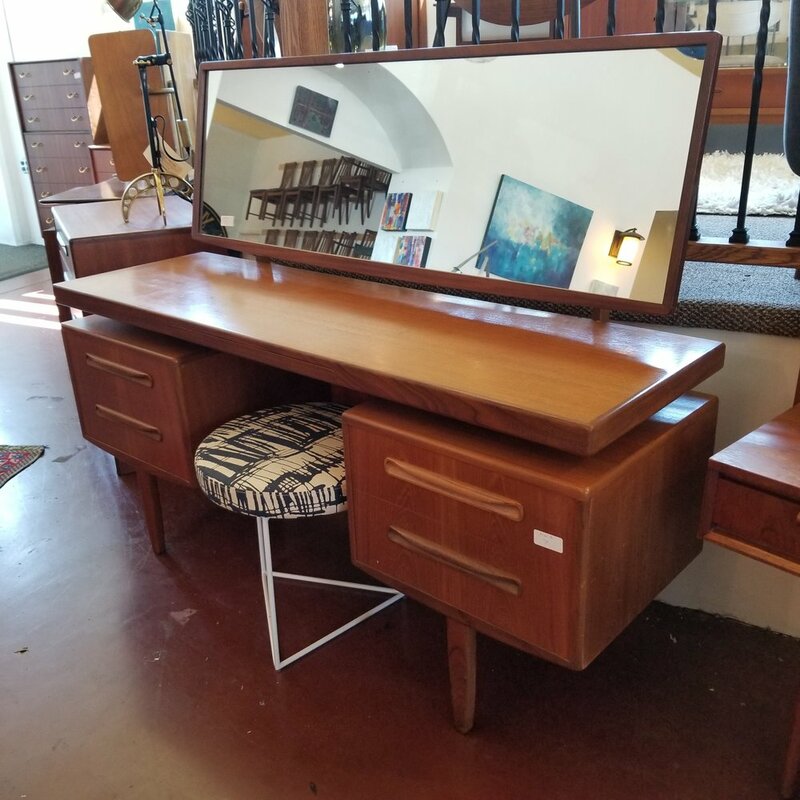 It's perfect in your home as a vanity or remove the mirror and use it as desk for work! Next, we want to show you these G Plan Astro tables. Designed by Victor Wilkins for G-Plan, England, circa 1960s. We have two in the shop right now. An oval table featured above and a circle table below. 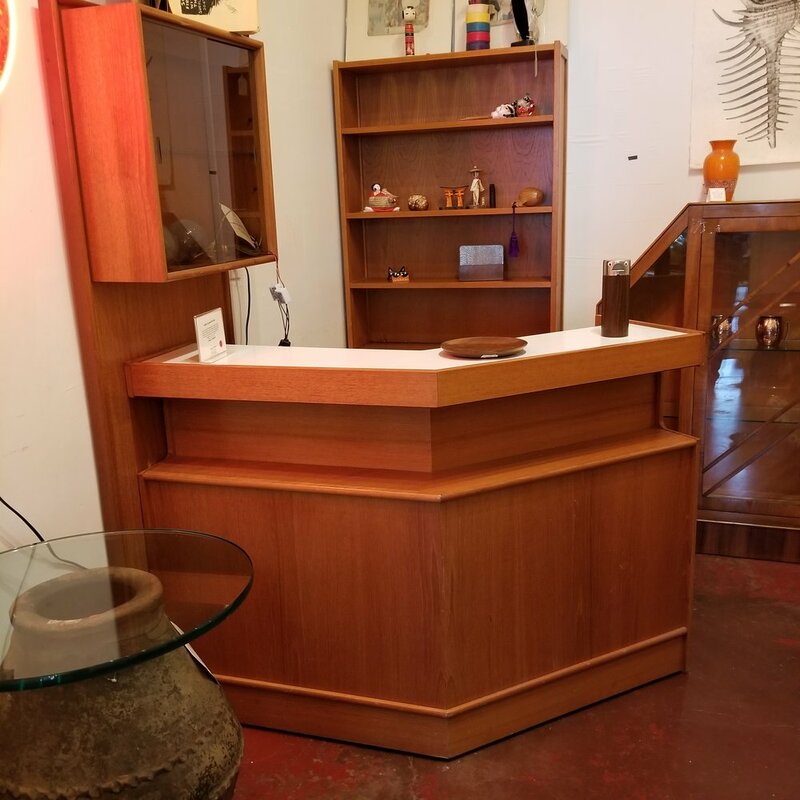 In true mid century fashion, we have a gorgeous G Plan credenza, in teak, on the showroom that's ready to go home with you! 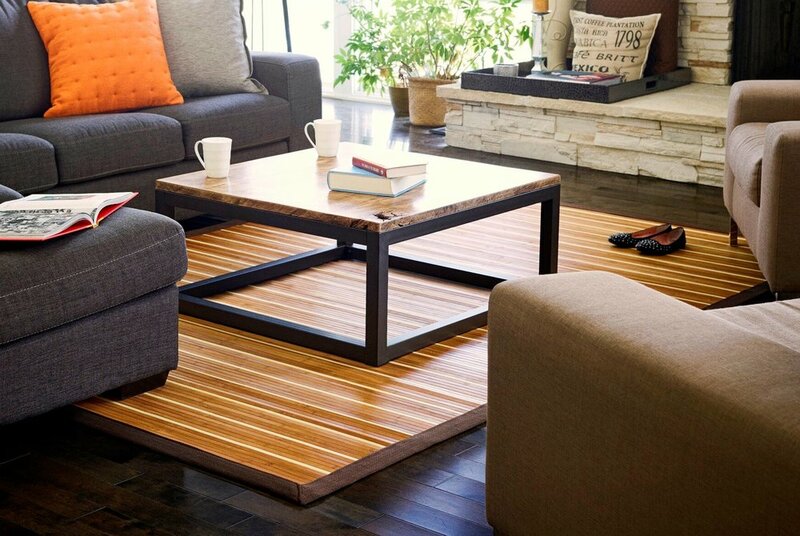 Last but not least, this set of G Plan tables are a fitting for any room of the house! They'd make a perfect coffee table and side tables in a living room or put the long table at the foot of your bed and the square tables on each side as night stands. 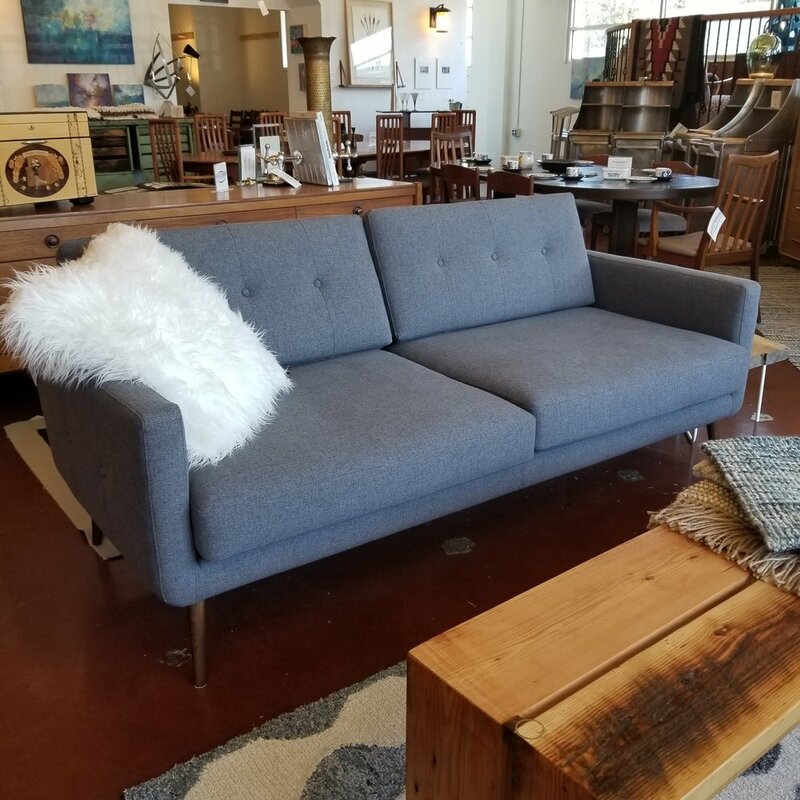 We have plenty more where this came from, so make sure to stop by this weekend and check out all the great G Plan items we have on the showroom! We offer delivery with Too Big for My Car and some of the prices in Portland! We have plenty of street parking available out front and we'd love to hear about your next home decor project! Come say hi! The long awaited shipment from Europe has arrived and the new items are making their way onto the showroom. See more below! In the spring, we took a trip to Europe and hunted down some fantastic new pieces that will help you create the look you've been wanting! This G Plan "Astro" table is an ICONIC item that you won't find just anywhere. Designed by Victor Wilkins for G-Plan, England, circa 1960s. If you're trying to create a fun dining area for your loft, or you need a table for a break room at work, we just got these awesome Industrial chic picnic tables! They're in excellent condition and fold up for easy storage. 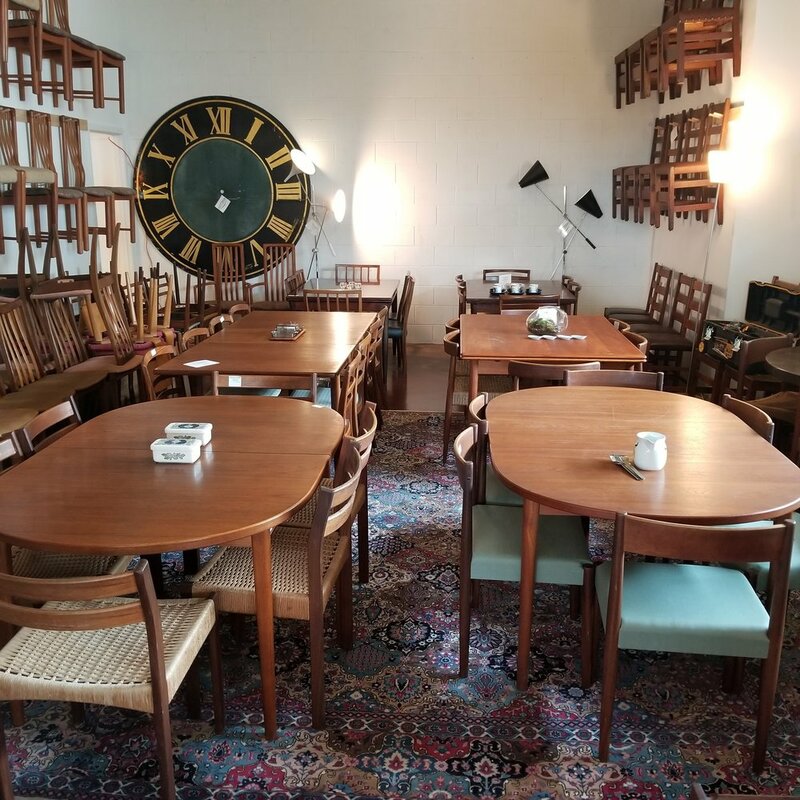 While on our trip, we focused on finding quality dining room tables and chairs. After all, the holidays are not too far away and if you're hosting this year, you're going to need a table that seats everyone. Don't forget about credenzas! 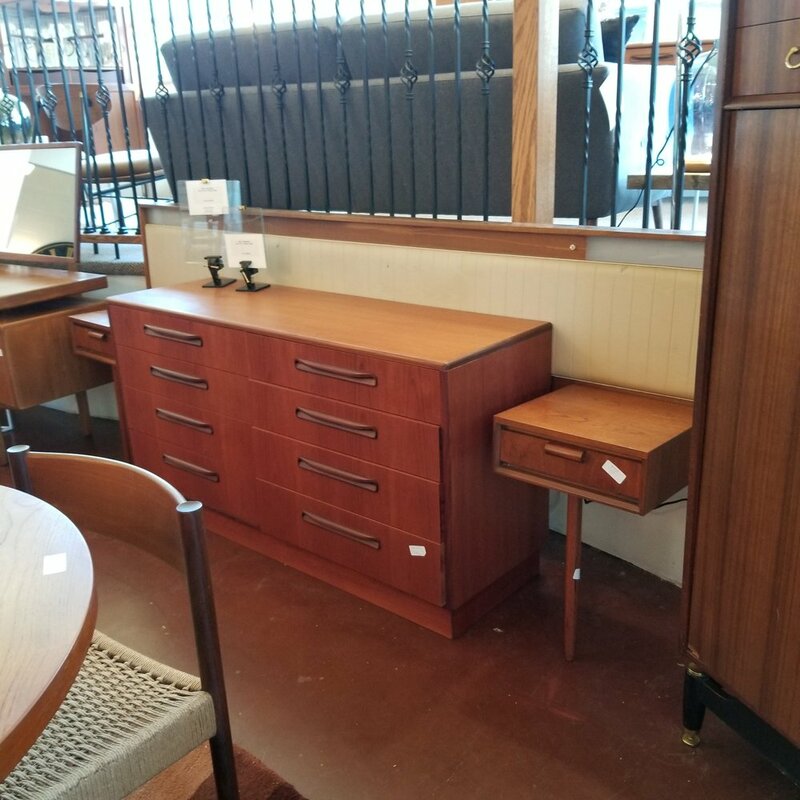 We found some gorgeous, teak credenzas with ample storage and style. We have an amazing selection of credenzas in all sizes! This is just a sneak peak at the new inventory we have. 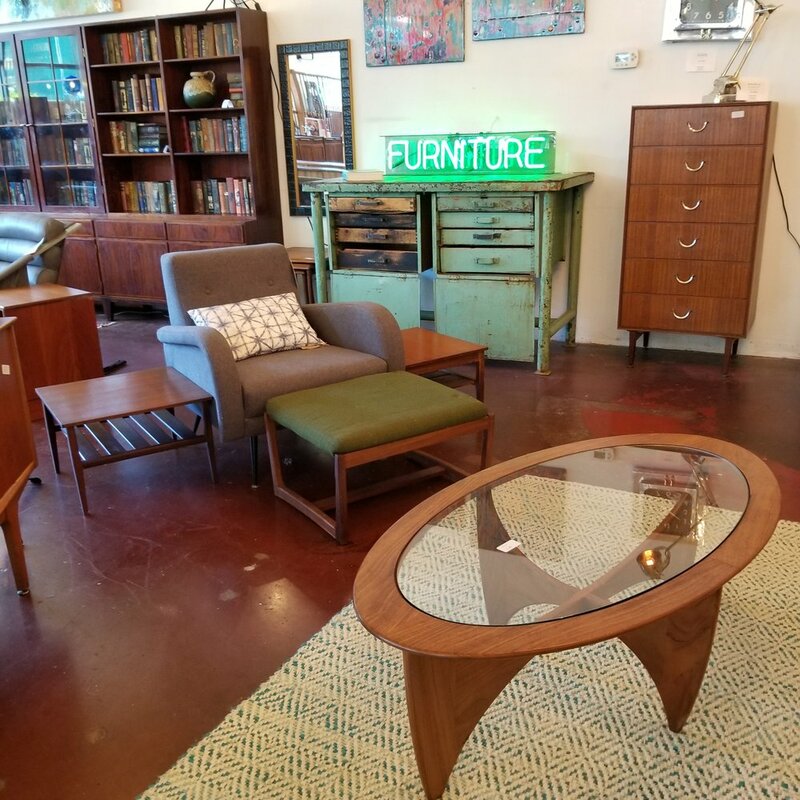 You can see more on Facebook, Instagram, and Twitter OR you can head down to SE 7th and Clay to see all the great new pieces we found on our Euro trip! Is your living room lacking adequate seating for guests? Or maybe your office looking a little bare? We have a solution! 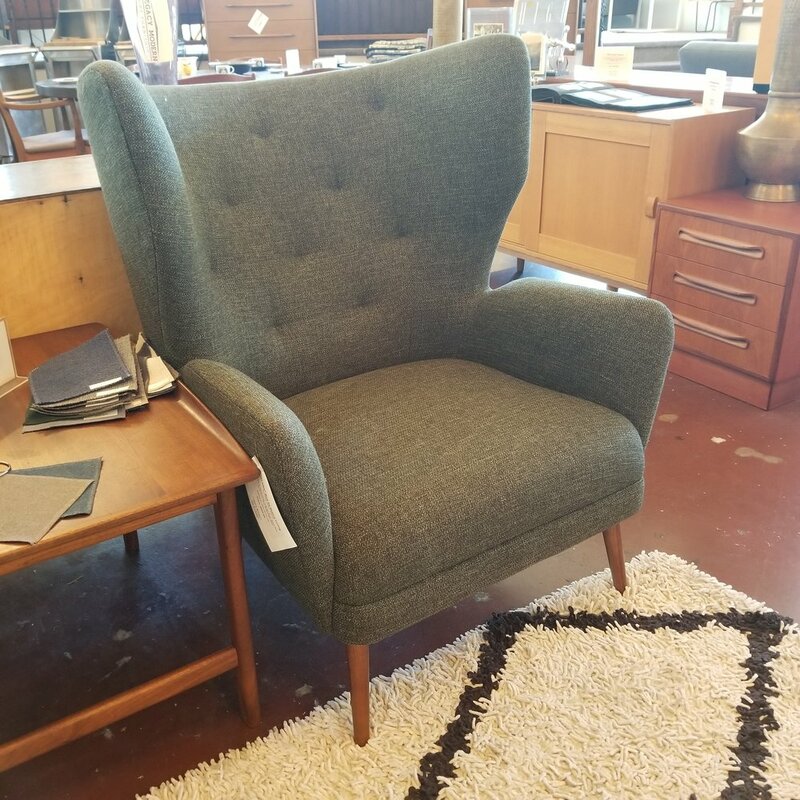 We have some great chairs on the showroom that will add style and functionality to your your living room, office, beach house, cabin, where ever! Look at this gorgeous chair! The throw pillow from Studio Tullia adds a pop of wild design too! Are you an interior decorator? 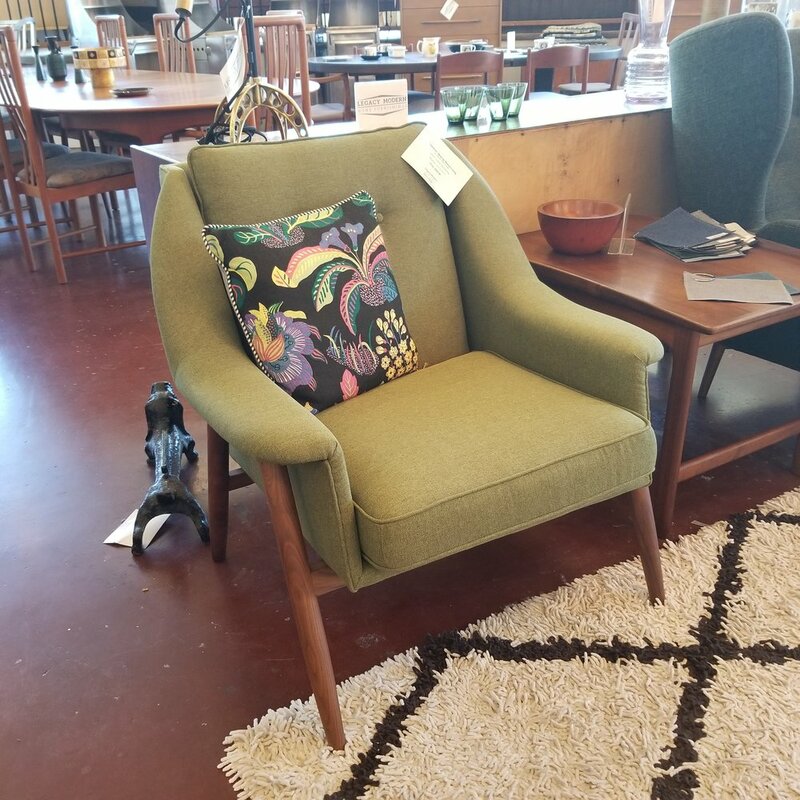 Your clients will love our selection of mid century inspired chairs from great companies like Nuevo Living and One for Victory! Get cozy after a long day in this leather bound beauty! 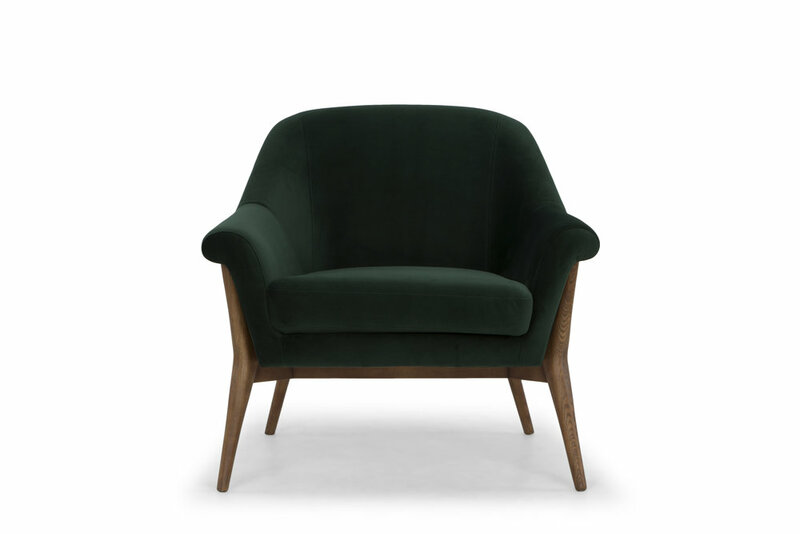 Bring a little elegance into your space with this stylish chair! Gotta love those clean lines! 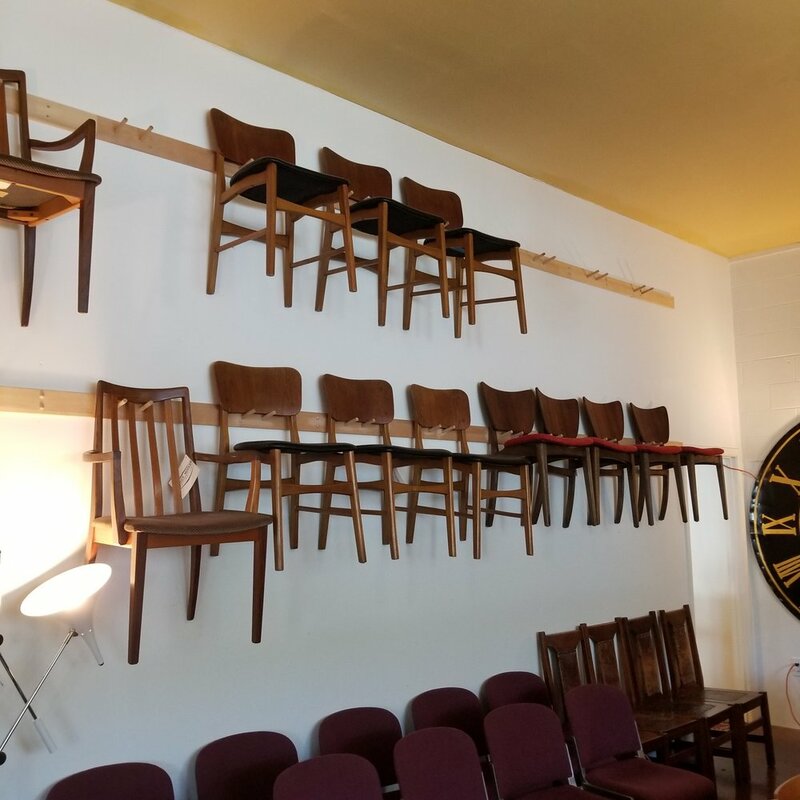 Our selection of chairs is one of the best in town! If you're in the market for a truly unique, quality item make a quick stop by shop this weekend! Plus, with this heatwave, our AC will be on high, so don't be a stranger! We're located at SE 7th and Clay with plenty of street parking out front! 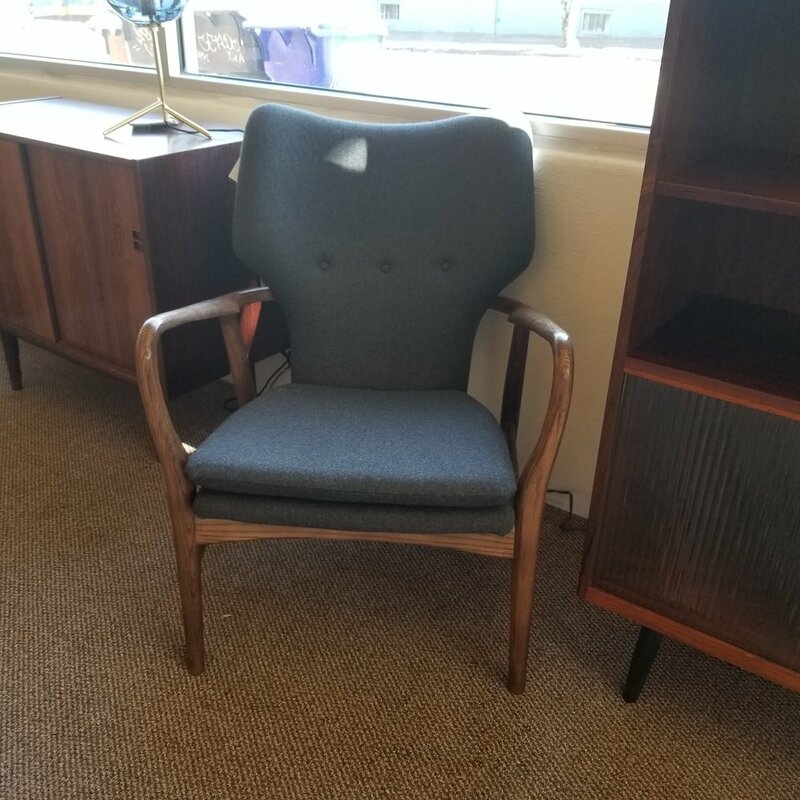 Come say and go home with a new chair! You get chair! You get chair! Everyone gets a chair! Our dining room showroom has some unbelievably beautiful dining chairs right now that you must see! These classic 3/4 arm teak chairs by Dyrlund of Denmark come in a set of 6 and are in excellent condition. Upholstery options available. Looking for something with a utilitarian, Industrial vibe? These chairs would be perfect for a coffee shop or waiting room area! Maybe it's a big comfy rocker for your back porch or beach house you seek. Let your bones go lazy in these woven rockers circa 1910. You can find these beauties on our Mission Arts and Crafts showroom! We have an entire room dedicated to your dining needs. Our inventory is literally floor to ceiling! 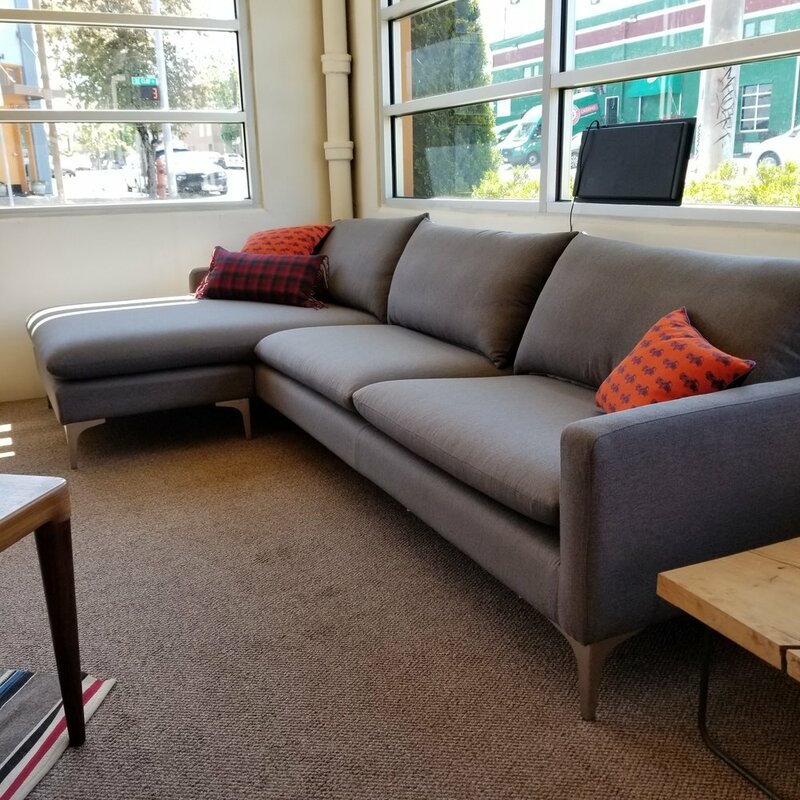 We have upholstery options available if you love the wood and design, but hate the fabric. Shop for your next dining suit at Legacy Modern. Our selection is hand picked with an eye for design and quality. 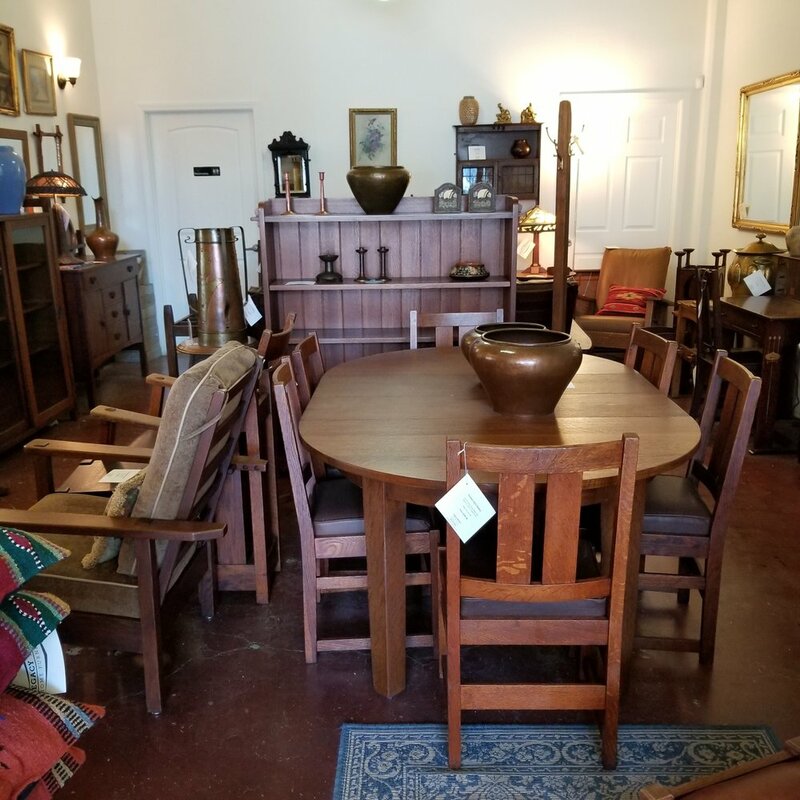 If you're on the hunt for a new table and chairs, your search stops here! "Andersen was born in Aarhus, Denmark in 1903. He apprenticed as a cabinet maker, becoming certified in 1922. By the mid-1930s, when Danish modern design rose in popularity beyond Denmark, he opened his own workshop." "Scandinavian furniture was known for its distinctive shapes, flowing contours, and “restrained chic.” (Scandinavian Style) Andersen certainly followed this aesthetic in his designs. Looking at his work, it is also easy to see the influences of the culture and environment that surrounded him. The hallmarks of the Scandinavian ethos are present, but interpreted in a way that is Andersen’s alone." Currently on the floor, we have this beautiful dining table designed by the man himself! 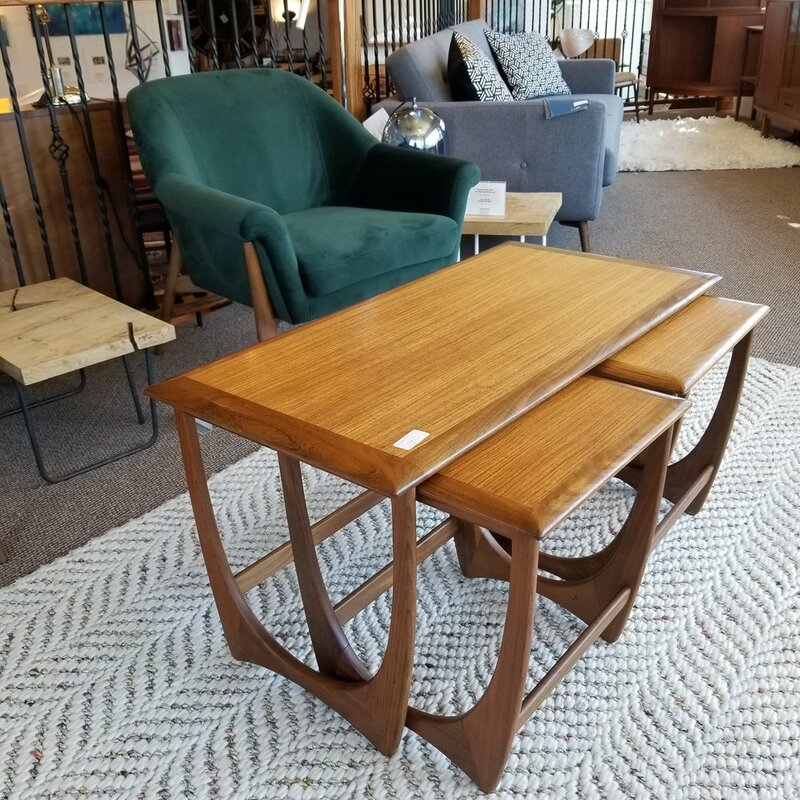 This quality Danish table is from the 1950s and extends up to 94.5 inches! Great for parties and everyday use! Are you in the market for a new dining suite? If so, make sure to stop by Legacy Modern and SE 7th and Clay. 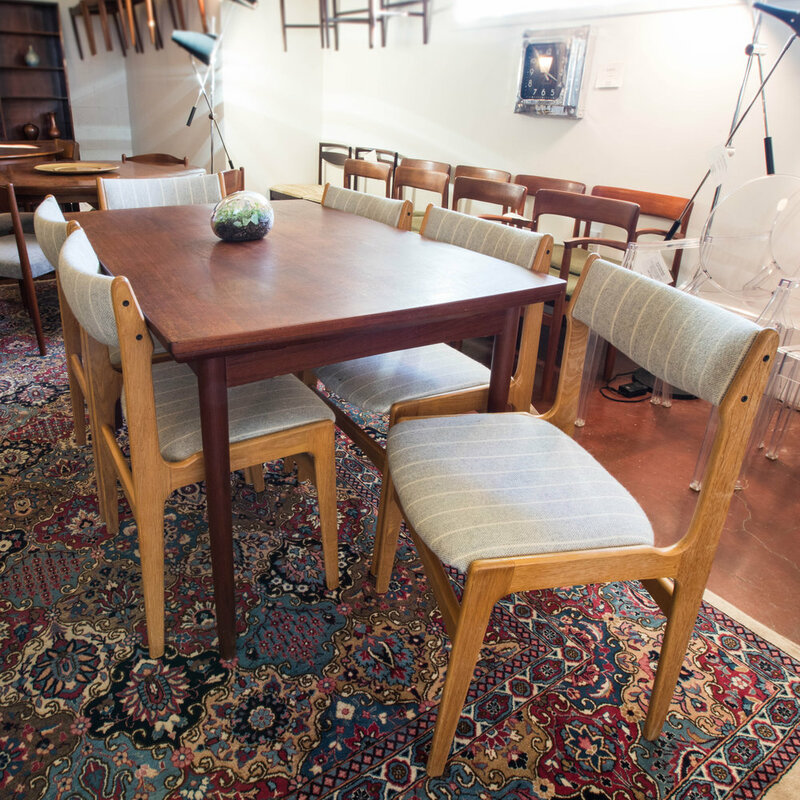 We have an amazing selection of Danish Mid Century Modern dining tables and chairs! Cool off in our air conditioned store and find the perfect item for your home or office! Does your space need better lighting? Lack of light can make spaces feel smaller and have been known to slow down productivity. At Legacy Modern, we have some gorgeous lighting pendants, floor lamps and more that will enhance your room in a modern, stylish way. The Lucille floor lamp is always a favorite! You can't go wrong with an Atom 8 pendant lamp! 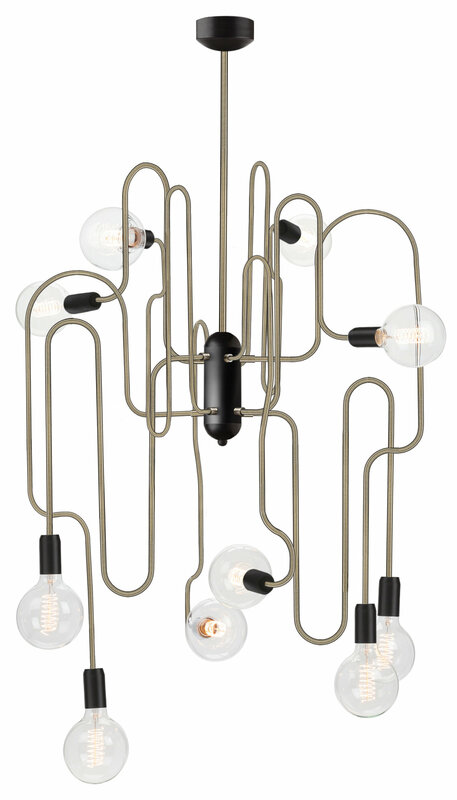 Wow your guests with the eye catching Corrine pendant lamp! We have a fantastic selection of Nuevo Living sofas and chairs too. Color options available. Streamlined and stunning. This beauty is perfect for your home or office. The Lucie Occasional chair is makes a great center piece in a living room or waiting room area. Make sure to shop with us this weekend at SE 7th and Clay! We have extended our Summer Solstice Sale! Details below. *Nuevo Living not included in Summer Solstice Sale. BUT free delivery is! If you're in the catering or restaurant industry, we have a special item that will make your next event or restaurant shine! 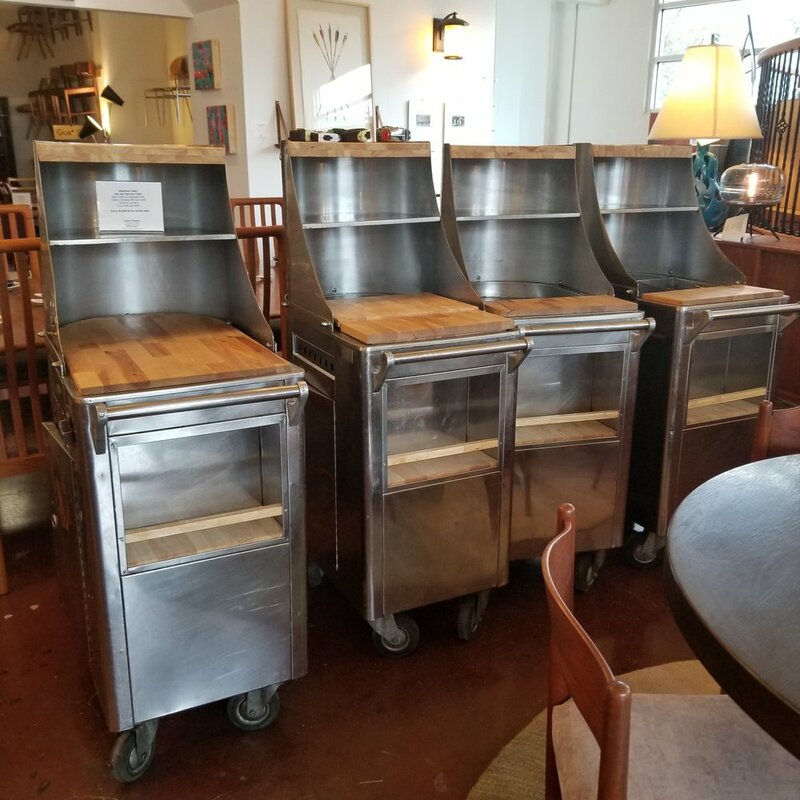 These vintage Chinese Dim Sum carts create a fun filled atmosphere for your guests while providing plenty of storage for your crew. 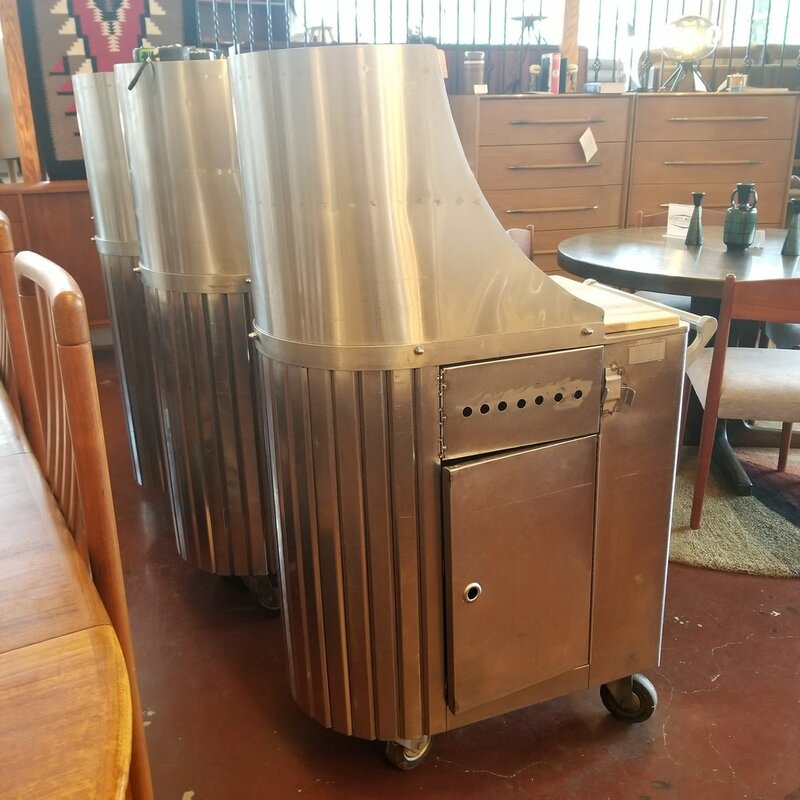 Made from quality stainless steel, these one of kind bar and service carts will hold up during the busy shuffle of multiple parties or shifts. The wheels are in solid condition and they are ready to go! Don't forget! 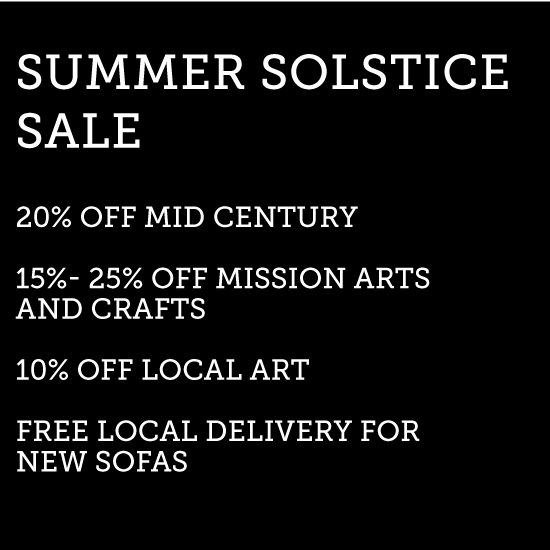 Our Summer Solstice Sale is still happening! We're located at SE 7th and Clay! Don't be a stranger! We have street parking available outside! Are you on the hunt for a new headboard? Well look no further because we have the one you've been looking for! We have a new twist on a classic mid century favorite that you simply must see! We took this 1906's G Plan "Fresco" headboard and gave it a face lift with new upholstery! The new teal fabric pops off the lovely teak wood! Comes in teak with with floating night stands and fits a queen mattress! Measures 100" x 18" x 36"
We're located at SE 7th and Clay! We have street parking available outside! Shop with us the next day when we open for our regular business hours! Get your home summer ready and take advantage of some BIG savings! Are your walls needing some love? Right now shop great artists such as Tappen Studios and Barloga Studios for some fabulous art! 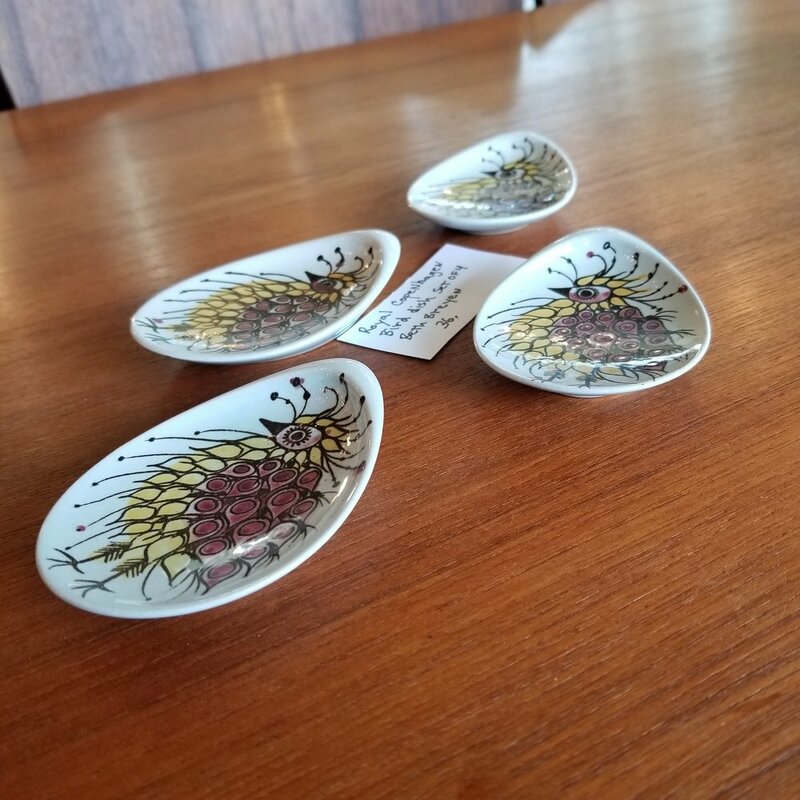 Our Mid Century Dining Room selection has one of a kind pieces that extend for parties and break down for everyday life! Planning a pool party! You'll need at new cocktail bar and at 20% off, how can you resist? Don't forget about the great savings that can be found on our Mission Arts & Crafts showroom too! Dining Room attire, bookcases, chairs, and home accessories are all on sale this weekend! We're located at SE 7th and Clay! We have street parking available outside! Don't be a stranger! Our store is constantly evolving and we want to preview all the new items we have currently on the showroom! Have you seen the new lighting from Pendulux? Designs inspired by the archaic and historic, tied together with a common thread of functionality that bring the elegance and style of the past into today’s modern environment. Have you seen our new Legacy Modern signature rug collection? We offer over 130 styles at price that won't break the bank! At the end of May we announced that we are the new Flagship store for Casamotion lamps. Each one thoughtfully named after a Portland neignborhood! This is the Brooklyn! In the late spring we got some beautiful new artwork from Tappen Studios! Perfect for your home or office! 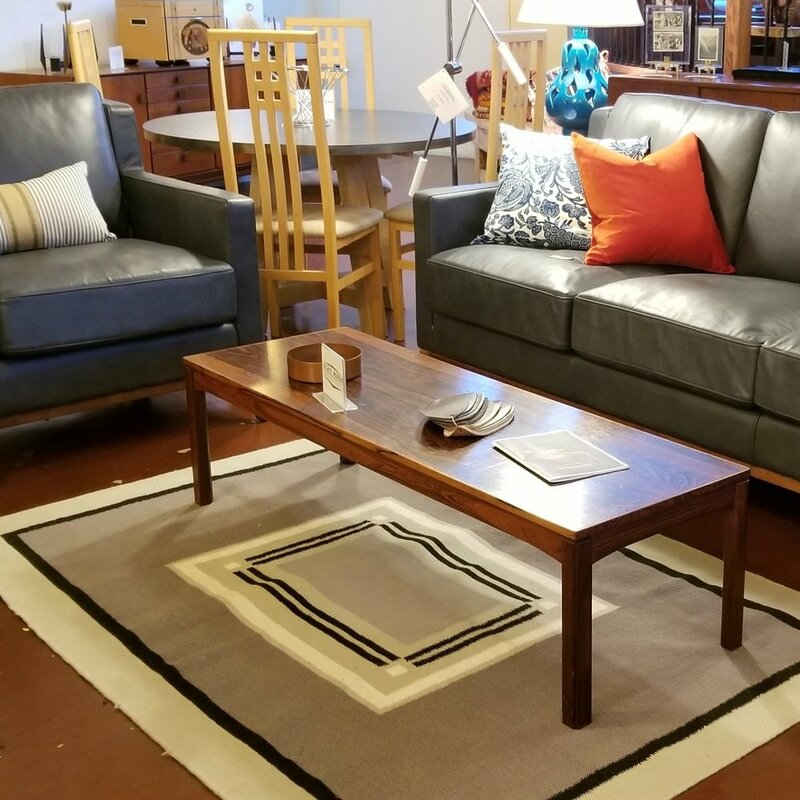 Curl up with a good book on this Anders Sectional from Nuevo Living! 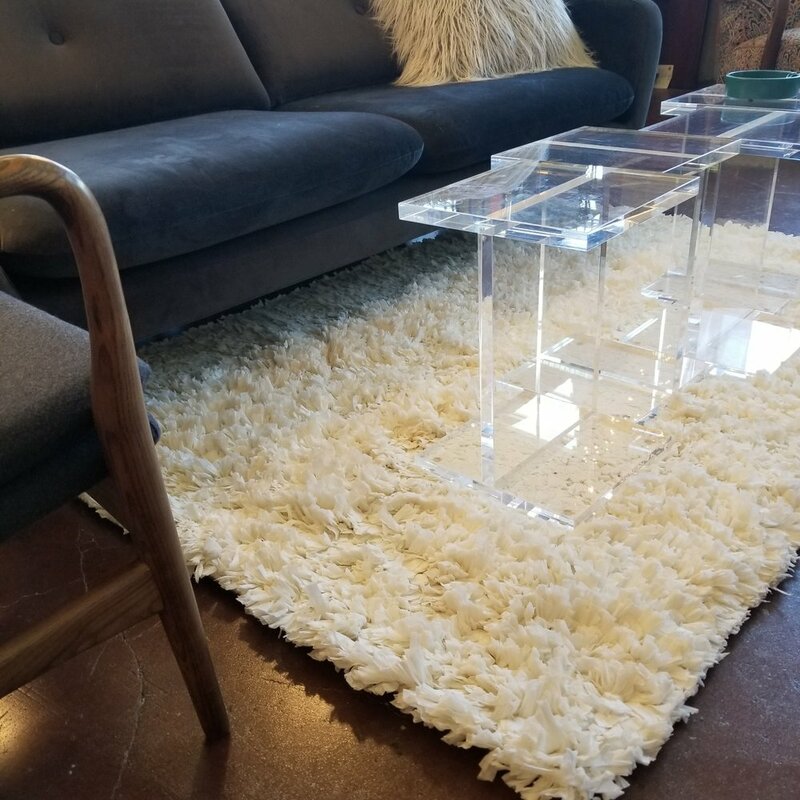 With so many great new items in the floor, make sure to head down to the store and find the perfect piece to tie your room together! Legacy Modern now has their own signature collection of area rugs! Available now! We are thrilled to now offer AFFORDABLE stylish floor coverings made from recycled materials in over a 130 styles! With so many patterns and colors to choose from, you're sure to find the perfect rug for your home or office! With so much focus on furniture and walls, we often forget how a rug can really tie a room together. Watch that carbon footprint! Our new rugs are made with upcycled materials such as paper, newspaper, denim, PET plastics, and sustainable materials such as bamboo, wool, viscose, and jute. Accent your home or office with a gorgeous new rug! You'll love the price, too! We are always looking for more ways we can provide a full service home shopping experience for our customers. With that being said, we're excited to introduce our new line of rugs! Make sure to stop by and check them out! Swing by SE 7th and Clay today! Casamotion is a luxury collection of mouthblown, organically shaped lighting! 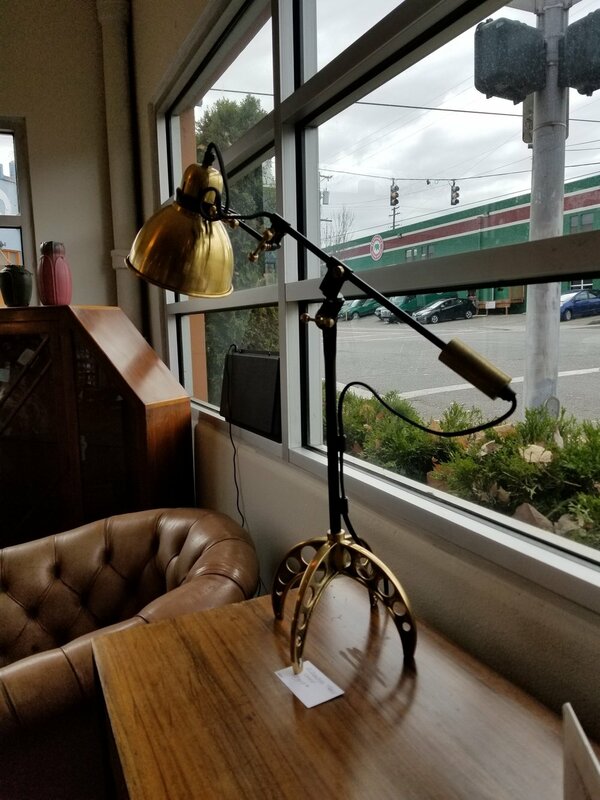 Vintage Inspired Table Lamps with Metal Feet! Check out this beauty! Would look great next to your bed or on a desk! Create a consistent look throughout your living room, bedroom, or office with this triple threat! Accessorize your home with Legacy Modern! We have a great selection of lamps, pillows, pottery, and more! Our Sale Has Been Extended! All on sale this weekend! Chairs! Rockers! All on sale! 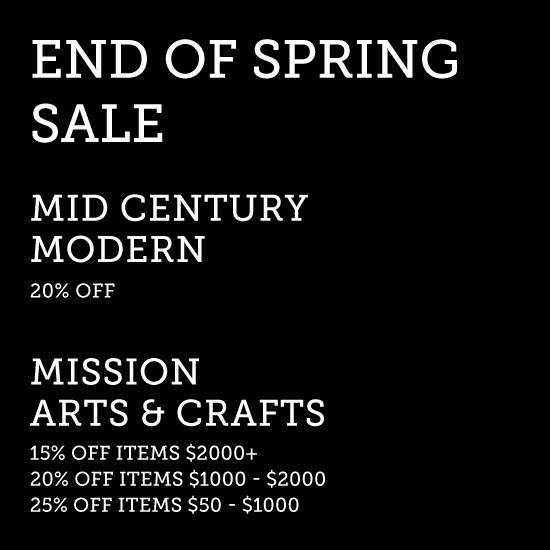 Mid Century is on sale too! Classic G Plan Bedroom Suit! Credenzas are marked down too! 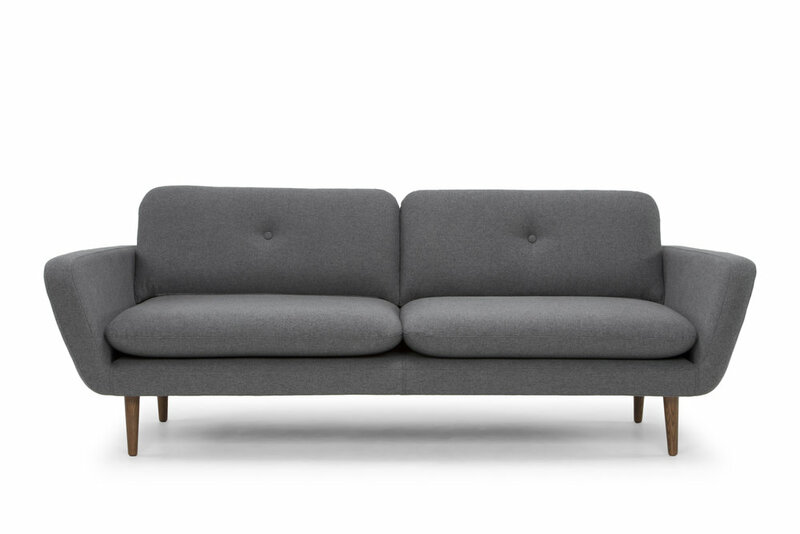 Free Delivery on all sofa purchases! 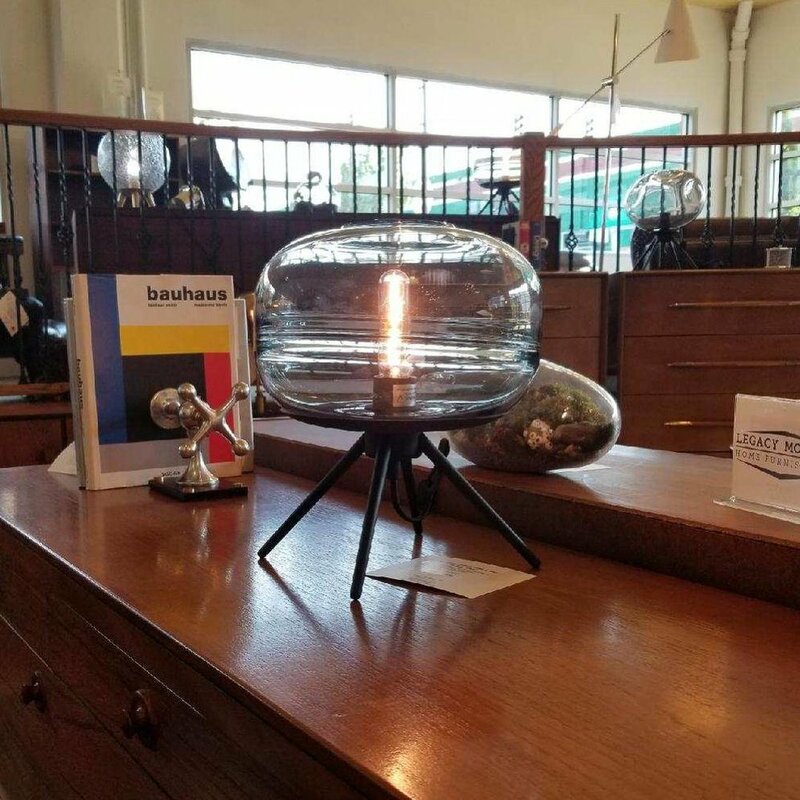 Swing by SE 7th and Clay today and check out all the great home accessories Pendulux has to offer! Street Parking available on SE Clay! "Pendulux brings our love of things historic, functional and beautiful to all of our designs. Decidedly masculine, our pieces are borne of industrial, nautical and militaristic influence, yet they simultaneously reflect our quirky admiration for the products and styles of ages past. " Nickel plate, solid brass, 19”. 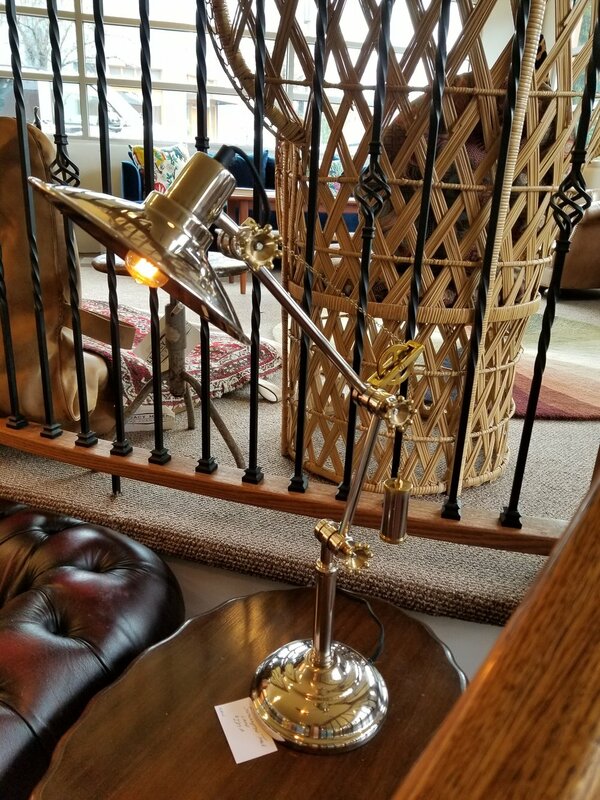 A pure union of form and function, this lamp shines with heavy nickel plated construction punctuated with working solid brass adjustment knobs. Reminiscent of 19th century machinery, the vintage aesthetic is accentuated by the cloth cord and fully functional counterweight. Solid cast & sheet brass, 20". If the great Renaissance inventor had made it to the electric age 400 years later, odds are his Venice studio would have had this lamp lighting his late night sketches and reverse-written manuscripts. Cloth covered cord. Heavy powder coated black steel, brass components. Adjusts from 15” to 30”. An homage to the engineering spirit of the Industrial Age, this lamp illuminates in a stunning union of black steel and solid machined brass. With exposed steel tension springs and a prevalent solid brass counterweight and pulley mechanism, grace your table with a working light and true mechanical relic. Nickel plate, brass, 17”. A marriage of practicality of form, the solid nickel plate construction Liverpool Table Lamp adapts to your needs with solid brass adjusting knobs and fittings, all while preserving an authentic vintage look. With a cloth covered cord with in-line switch and compatibility with vintage candelabra bulbs. The Alexander Lamp is a master union of classic machine age utility and innovation. 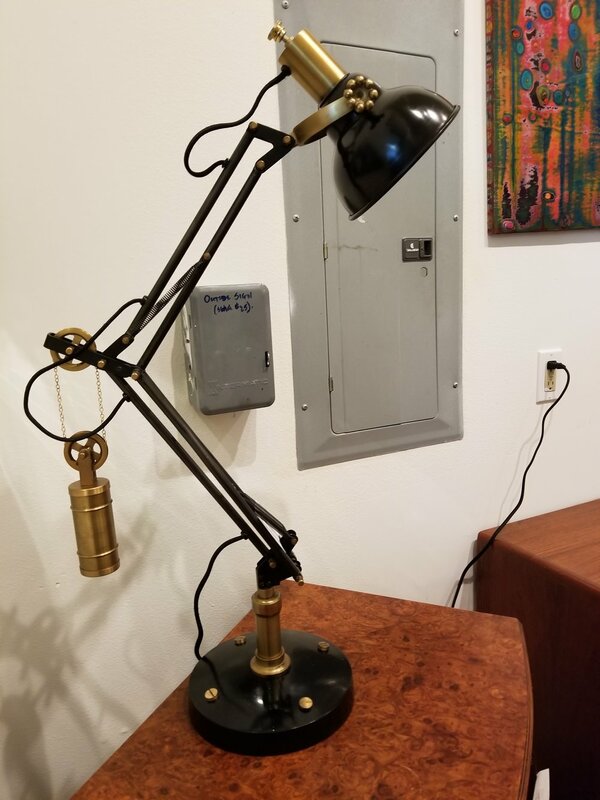 The lamp shade and supports are derived from the light fixture of 1910 industrial British sewing machines, while the precise solid cast brass base is modified from vintage outside micrometers. A solid brass counterweight balances the adjustable powder-coated frame. Includes cloth cord and inline switch. "The majority of our products are hand-crafted—whether it’s casting metal, polishing, finishing or installing mechanical components. This hand-work is evident in the unique markings and gentle patina of every item. From initial concept and design to production and inspection, each Pendulux product passes through the hands of someone who takes pride in their work and workmanship." 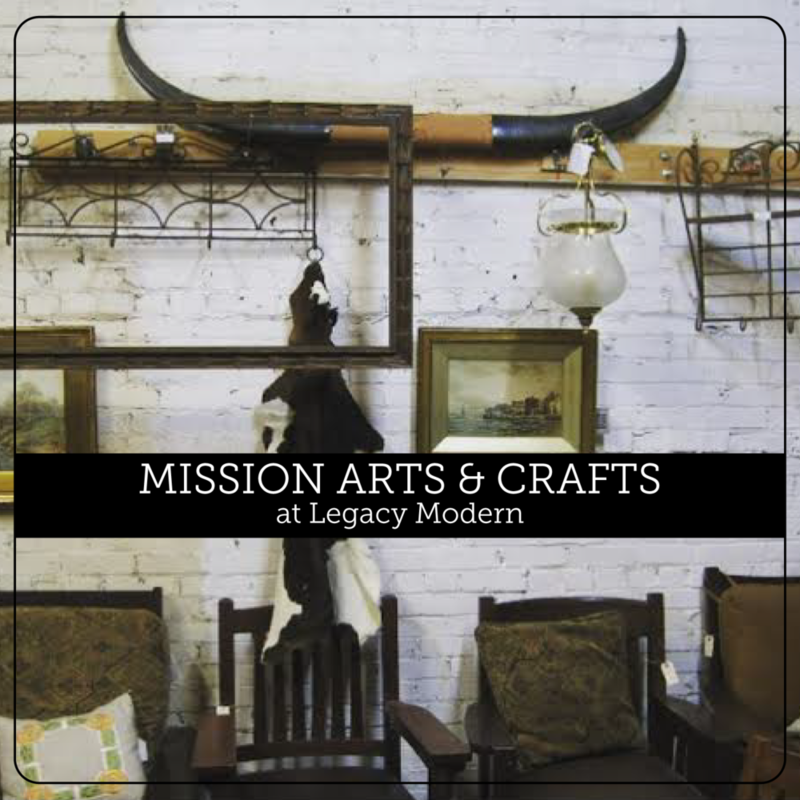 Show Mom how much you care with thoughtful, unique gifts from Legacy Modern! Don't Show Up Empty Handed! We have a fantastic selection of small gifts that will make Mom smile this Sunday. 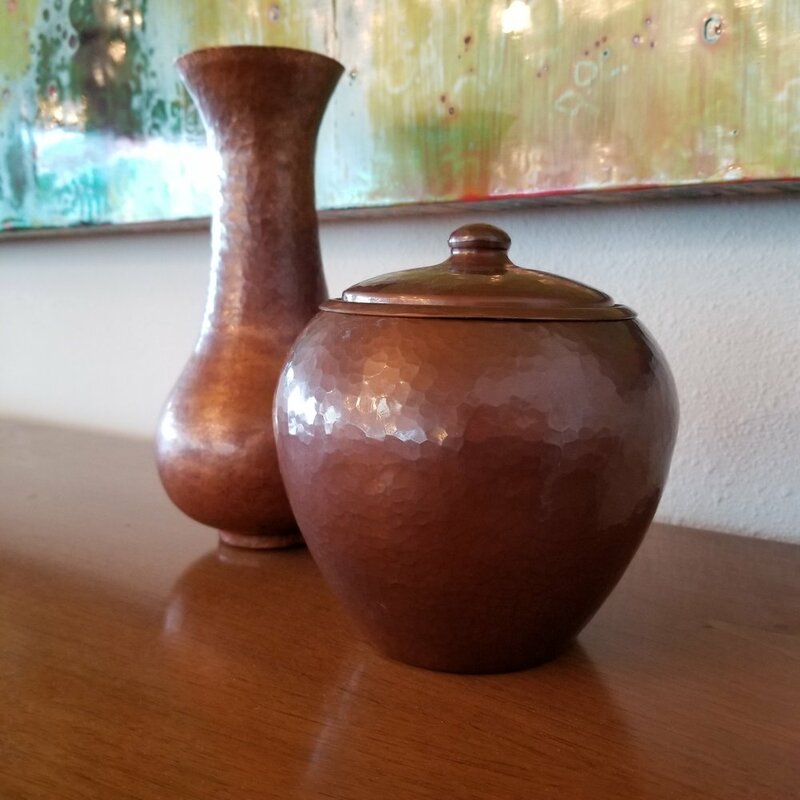 These ceramic vases will add style to Mom's home and she'll think of you every time she looks at them! Home accessories that provide a cohesive look! 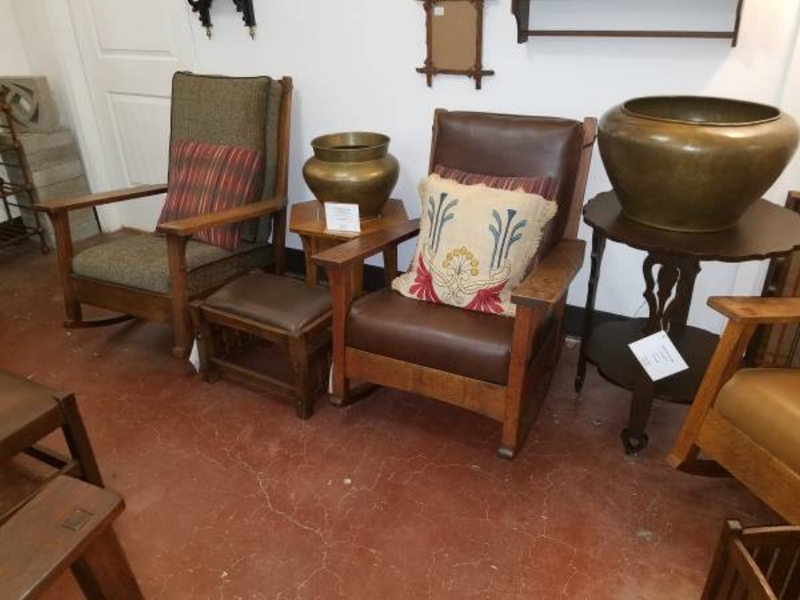 Pottery, candlesticks, flatware, throw pillows, and more all on sale! Don't Forget Our End of Spring Sale is Happening! Swing by SE 7th and Clay today and get Mom and unforgettable gift! Buy today! Delivered today! We offer delivery with Too Big for My Car! Are you tired of having all your stuff unorganized and spread out all over the place? 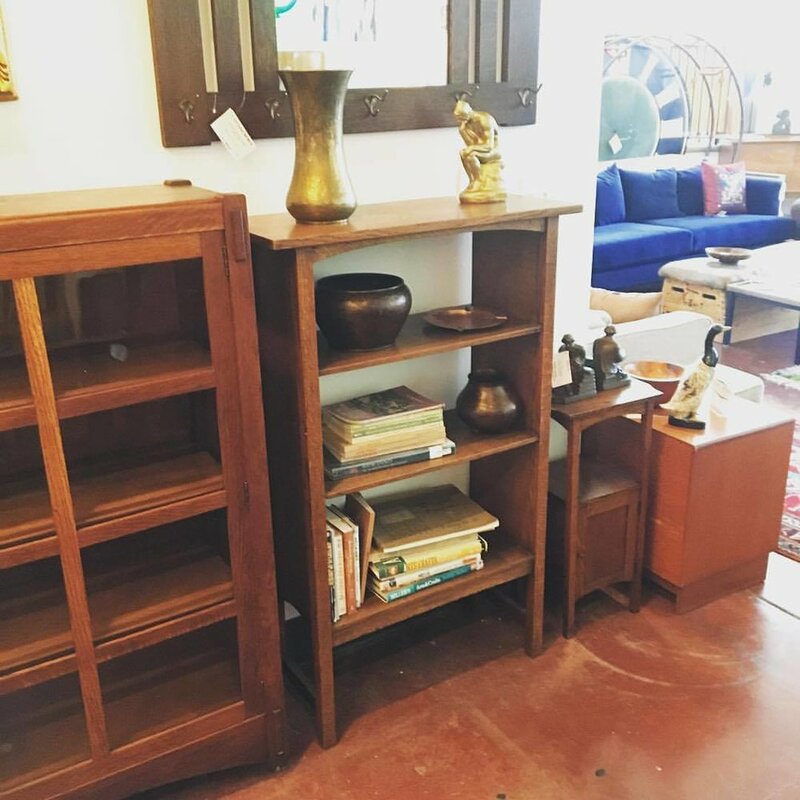 Get organized this spring with a beautiful Danish teak bookcase that will store all your stuff in style. Are you a collector? We have some great shelving units that will allow you to display all your Star Wars figurines, comics books, and more. Is space limited in your home? Store your items vertically on this space efficient Danish two piece Teak and Fruitwood bookcase! It has a locking cabinet! Perfect for a cocktail bar with teens in the house. Maybe you want something in a darker wood? We have bookcases in Rosewood! Records! Books! Pictures! Whatever you need to put away, these bookcases will provide ample storage with a beautiful rich color. So much space! Perfect for Grandma's China! 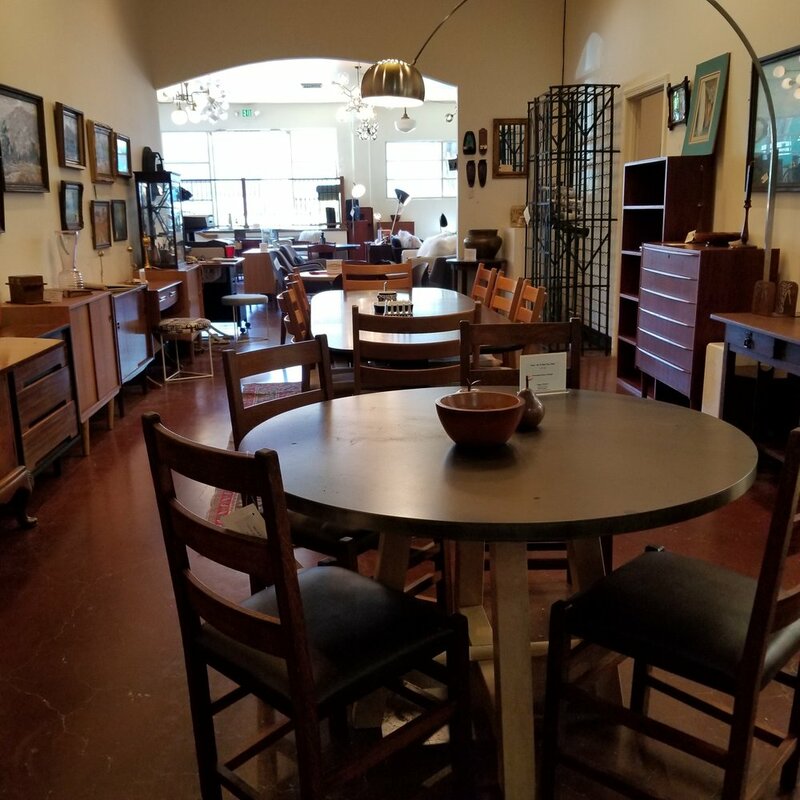 Stop by SE 7th & Clay this weekend and check out all the cabinets, credenzas, and bookases on the showroom! Buy today! Delivered today! We offer delivery with Too Big for My Car!